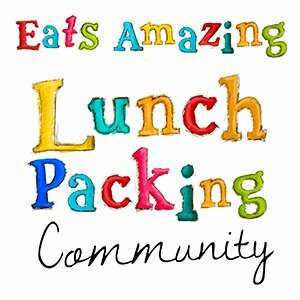 This week in honour of Zero Waste Week, I am sharing ways to cut waste, especially when packing lunches. In my last blog post, I talked about the various packaging that you can save from landfill by using bento boxes to pack your lunch, and today I’m going to talk about avoiding food waste, in particular the potential food waste generated by getting creative with your food. I took the photos for this post about a year ago, and have been meaning to write it up ever since, so it’s well overdue! I’ve been making and blogging about bento lunches for two years now, and one of the questions that crops up time and time again when people see my lunches is ‘what do you do with the scraps?’. Sometimes people are less polite, leaving comments such as ‘what a waste of food’ on my pictures. What those people don’t realise though, is that I very rarely generate any waste when I’m making bento lunches for my children, even when they’re fun and creative. One of the main reasons I took up making lunches in bento boxes was to avoid waste, so of course I’m not going to use them as an excuse to throw away food! If, as I do, you like to get creative with the food you pack, cutting it into fun shapes and arranging it to look pretty as well as functional, you will inevitably create some scraps that you might not want to pack, so today I’m going to share my tips and tricks for avoiding food waste when creating fun bento lunches or food art. The most common question I get asked is about the scraps of bread leftover from making fun sandwiches. There are a few options for these. Sometimes I eat them, or Small Child snaffles them as I go! Sometimes I cut them up into bite size pieces for Small Baby to have for his lunch, but if for some reason those aren’t an option, I have other ways of using up the crusts too. If I’m going to cut the sandwiches into fun shapes but want to save the leftover bread and crusts for other uses, I construct the sandwich in a slightly different way. Rather than making up the sandwich and then cutting it into shapes, I cut the shapes out first from the plain, unbuttered bread, and put the sandwich together after, adding fillings to the ready shaped bread. Whizz them up to make breadcrumbs, which can be used in several recipes (they make a great topping for a pasta bake for example, or a handy filler in home-made burgers). Brush them with a little oil, cut them into cubes and bake or toast them to make croutons to sprinkle over salads or soups. Save them up to make a batch of French Toast Casserole. Several of my blogging friends have shared their take on this dish, try Nina’s French Toast Casserole, Sarah’s Bread Scrap French Toast Casserole (with fresh berry compote), Kendra’s (gluten and dairy free) PBJ Bread Pudding, or these simple French Toast Sticks from Momables. I feel hungry now! Other foods which have the potential to generate waste scraps are vegetables like carrot or beetroot. Carrot is such a great food for creative bento lunches because it is sturdy enough to be cut into almost any shape, but of course any shaping comes with a pile of scraps. The first thing I do before using carrot is to give the whole carrot a really good scrub. This way, it doesn’t need to be peeled so the only waste is the top (You don’t even have to waste the top either, check out this really fun activity from Laughing Kids Learn!). After that I cut my shapes, then grate the scraps and pop them in a container to be used in a salad later. If I’m in a rush, I’ll just pop the scraps in the container as they are and then grate them when I’m ready to use them. Beetroot I will usually peel (and compost the peel), but I treat the edible beetroot scraps in the same way as carrots – grating them into salads, yum! Following on from carrot and beetroot are peppers and cucumber. I use peppers a lot in my bento lunches because they are healthy, tasty and come in a range of colours making them really great for adding creative touches. Cucumbers are always popular too, and definitely my favourite salad vegetable! To avoid wasting leftover pieces of either peppers or cucumber, simply chop them into small pieces to add to salads, such as leafy, rice, couscous or pasta salads. I have also been known to throw larger pieces of leftover pepper or carrot from bento making into family meals such as curries or pasta bakes, so my family are well used to strangely shaped vegetables appearing in their meals! Eat them as you are going along, or feed them to a passing hungry family member! Include them in the lunch – just hide them at the bottom under the pretty bits! Throw vegetable scraps into a container in the fridge (they should be fine for a few days) and add to home-made soup or stock. Add them to an omelette, or to little individual omelettes made in a muffin pan or cupcake cases. You can easily adapt this oven baked mini omelette recipe by changing the fillings to use up your scraps. Throw them into a quesadilla – lay a tortilla wrap in a dry frying pan, cover half with grated cheese, sprinkle over your bits and pieces (scraps of meats such as ham or chicken work well too! ), then fold over and heat until the cheese has melted and the wrap is lightly toasted. Flip over half way through to heat right through. I hope I’ve managed to show that it’s easy to make zero-waste bento lunches, whether they are plain or extra creative! Do you have any clever tips or tricks for using up scraps of food? Do share them in the comments below! Fantastic write up! Thank you for the great tips! Thanks Rachelle, I realise that not everyone likes to cut their food into shapes etc, but I thought these tips might help for those that do! Thanks Donna, I always do my best to make sure that nothing is wasted! I’m impressed! My approach is a little different. I try to be creative with my lunches without having scraps to deal with. There is nothing wrong with scraps and so many lunches are truly ART! But I know myself, and what would happen if I tried…my scraps would grow mold! Thank you. Of course bento doesn’t have to generate scraps, it’s just that mine very often do! Perhaps I should try your approach occasionally, it does sound a bit more sensible! I too lose some of my scraps to the occasional passerby of child, husband and sometimes the pups get tossed a veggie or two. My bread scraps get frozed into a ziplock bag for future French toast bakes, breadcrumbs and my veggie scraps (if they make it past the juicer or for a smoothie addition) go into the fridge container for salad mix-ins, veggie omelets, waffle egg mix-ins, and the fruit ends up in smoothies, ice cream toppings or freeze pop mold additions. Not a scrap makes it to the trash. Any lunch meat scraps from sandwiches also ends up in my salad or some “extra” on my (plain) sandwich.